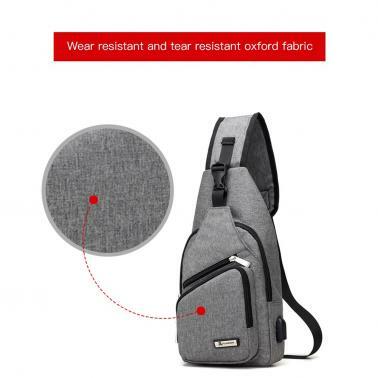 This bag is roomy enough for your wallet, cell pone, keys, bottle and battery charger, with a charging port and earphone hole outside the bag you can charging your device and listen to music anywhere. 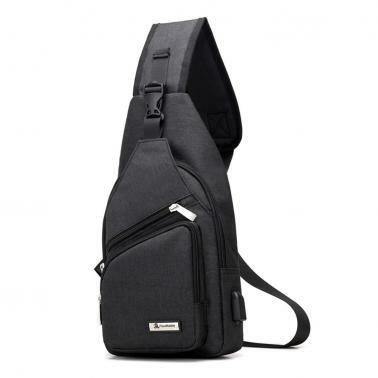 Great breathability and handiness features makes it a convenient bag for cycling, hiking, traveling for job and daily use. Breathable strap, smooth zipper and functional pockets, great for cycling, hiking, traveling and sports. External USB port for charging your phone anytime and anywhere without opening up the bag. Roomy main compartment for your pad, umbrella, wallet and so on, and functional pockets for your little items such as bus card, tissue and other personal effects. 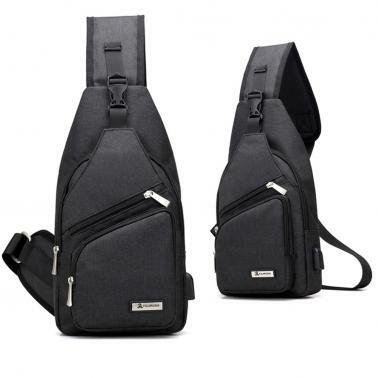 Adjustable strap for comfortable fit and different carry ways, it can be a chest pack, shoulder bag, travel bag, sling bag and a satchel strap in daily life. Oxford fabric, wear resistant, tear resistant, anti-static and not easily deformed. Stylish, practical and lightweight, designed for daily work, school, traveling for job, hiking and cycling. Note: Please allow 1-3cm(0.4-1.2in) difference due to different measurement.